This past July has been a busy month, and I have not had as much time to sketch and share as I would like. I still found some time to squeeze in a few sketches though. Two weeks ago, my brother was married in Moscow, Idaho. 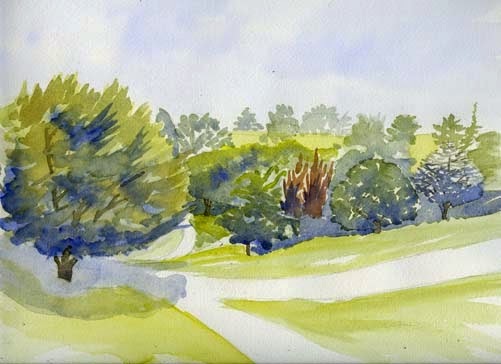 I woke up early one morning and did a quick watercolor of the University of Idaho Arboretum. I always admired this arboretum tucked away in a dale like some forgotten fairyland. 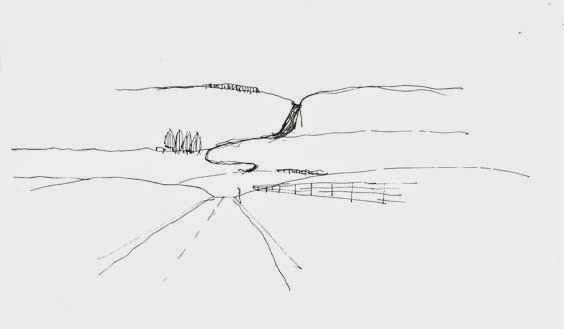 On the return drive, I also took the opportunity to complete a couple quick pen sketches of eastern Washington. The arid region has several stunning geologic areas resulting from ancient floods during the last ice age and the steady flow of the Columbia river. Upon returning, I immediately fell ill and did not get a chance to sketch for a while. Recovered, I joined the Seattle Urban Sketches at a unique sketch crawl hosted by Mary Lous and Sam on their Lake Union houseboat. I especially liked the view from atop their house to Queen Anne Hill. This view of Queen Anne's eastern side is very unusual since view expansive public viewpoints exist on the western side of Capitol Hill. 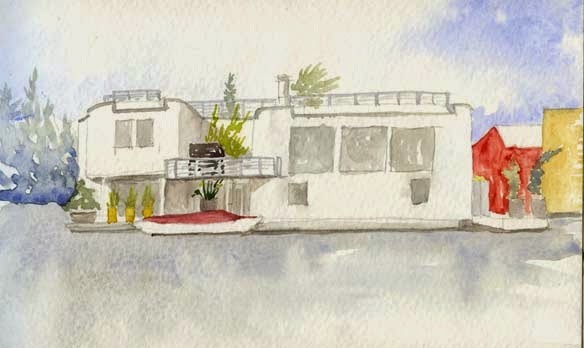 Of course, it was almost a prerequisite to draw a house boat as well. I really liked the elevation quality of the house boats. Since they sit on a level surface and usually present only one side to the viewer, houseboats are a great way to study the elevation view point. This month was filled with a wide range of sketching opportunities. From the wide planes of Eastern Washington to the docks of Seattle's houseboats, I had a diverse set of landscapes to draw inspiration from. I hope your adventures were equally thrilling. If you liked this post leave a comment below and join the email list by entering your email address to the right. Keep on sketching, trekking and adventuring.